Input text: Fantasy backdrop. The giraffe is -5 feet behind the hedgehog. 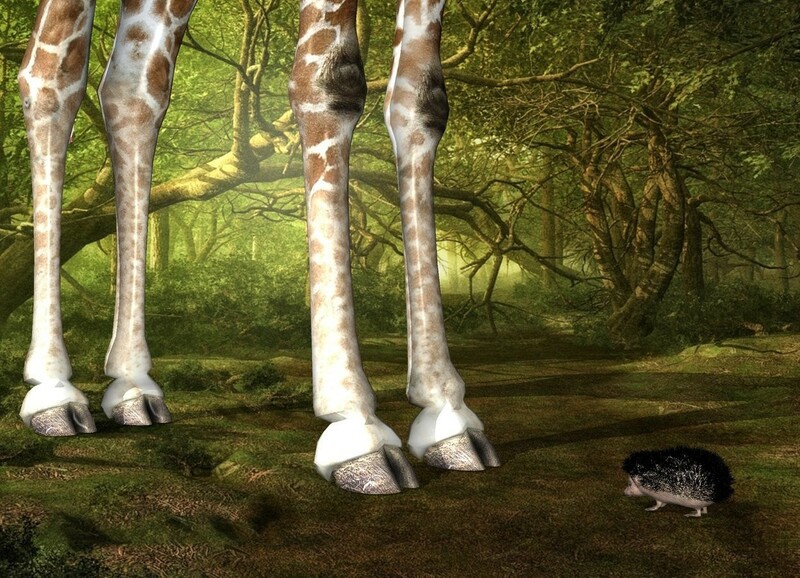 The hedgehog is facing the giraffe.